Chi Vitalizer and Chi Swing. a) All sites vary with their facts, specifications and prices, with many often selling identical imitation 'chi machine' models, but under a different name and label. b) Sites present vague, minimal information, and many have zero info about their manufacturer or company background. Merchants selling imitation 'chi machines' have limited background information other than the standard specs of their own imitation, since all Chi Machine data, history and info has originated from the original Chi Machine, the Sun Ancon. Imitation 'Chi Machine' websites actually copy the Sun Ancon's Chi Machine info, data and history, misleading the consumer into believing it belongs to their own imitation chi exerciser machine. Plagiarized info and graphics taken from the original Sun Ancon information is common, and some directly attach the trademarked name 'Chi Machine'. The 'Chi Machine' is a registered trademarked name belonging to HTE (Hsin Ten Enterprise Inc). The Sun Ancon is the first and only original Chi Machine ®, created by Dr. Inoue in 1990. The company green and gold logo is located on the machine, and on and the timer. Sun Ancon Chi Machine goldfish symbol has been taken and used by multiple imitation "chi machine" websites. The Original Chi Machine creator, Japanese scientist Dr. Shizuo Inoue and his exclusive chosen distributor, Hsin Ten Enterprises (HTE), Chairman Gordon Pan, located in Taipei, Taiwan. Dr. Inoue gave his vision to Skylite Corporation in Japan back in the 80's, who created The Chi Machine. Dr. Inoue has unfortunately since passed away. Mr. Pan is well and healthy, still running HTE. COMPARISON CHART - BUYER GUIDE. Many imitation brands are identical but use different brand names and set different prices for the same machine. 34-3w motor to create inherent figure of 8 motion. Oscillation/min: 140 oscillations/per minute (RPM). Licensed as a medical device in Japan, Australia, Canada. Alleged to be Class 1 medical device on UK website, but no source/documentation given to verify. Origin is Skylite Corp, Japan. Company: HTE - Exclusive rights to the original Chi Machine. Head Offices: Asia, Australia, Canada, USA. 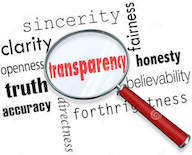 Honesty and transparency are two words merchants need to embrace. The public are demanding these values more often. The public now look to each other for feedback instead of paid reviews on Amazon or paid shout-outs from celebrities. The original Chi Machine is NOT sold on eBay or Amazon.com by HTE independent distributors, a strict company policy. The original Sun Ancon Chi Machine was showcased on "The Doctors" TV Show - Imitation machines have claimed it was their imitation. It was not. 2) Documented medical research or clinical trials, plus date, and name of facility. 3) A medical license and number. 4) Ask for the name of the company - ask how long in business. 5) Ask how many years on the market. 6) Ask how long is the life expectancy of the machine. 7) Ask what the main components of the internal mechanism are, plastic or metal parts. 8) Compare specifications to the original. IN GENERAL, YOU GET EXACTLY WHAT YOU PAY FOR. Imitations on Amazon.com continue to claim they are the Original Chi Machine. THEY ARE NOT. December 2015 - False claims, illegal use of trademarked name, deceitful use of TV show. 1) Imitation chi exercise machines or passive exercisers as they now call themselves, continue to surge thru the market, as fast as one machine is discontinued, another pops up, but numbers have leveled out, and such is the nature of any business. The problem is that imitations continue to persist in illegally attaching the trademarked name 'Chi Machine' to their unit. 2) Three imitation companies have proclaimed themselves to be the most superior out of all the imitation machines (including the original). Here is one imitations quote "the most advanced model available globally". Another imitation company quotes "superior to the original Chi Machine in numerous ways" but declines to illuminate. This same company uses the Dr's TV show video clip, failing to mention it is the original Sun Ancon Chi Machine and not their imitation. One imitation company states " Early chi exercise machines were designed for the typically smaller and lighter body types of Oriental people". First there is no such thing as earlier chi exercise machines, there was only one, and it has a trademarked name, The Chi Machine from HTE. Secondly, the Chi Machine was NOT designed specifically for 'Oriental' people. This claim insinuates that Orientals (insulting label), are all the same race (insulting), with no differences in height or weight, whilst also insinuating that "non 'Orientals" have different anatomies, being bigger and heavier. Whilst the USA in general appears to have an obesity challenge, many people will definitely take offense. The Original Chi Machine was created for ALL body types and all ages. The Chi Machine is registered as a medical device in three countries because the specifications of the patents, the oscillations per minute, the precise and deliberate single speed and the swing travel, all directly relate to the highest medical benefit the Chi Machine will give to the human body with no chance or injury or any negative side effects. 3) There are numerous false claims that can be read on Amazon.com, in regards to the original Chi Machine. Here is one such false claim: "Their original patent was for a variable speed unit, but once we came out with the Chi Vitalizer, they decided to differentiate by claiming there's only one speed that works". The original Chi Machine has NEVER had more than one speed, and the imitation Chi Vitalizer was created many years later, having multiple brand labels, names and prices. Why do companies lie?! Imitation brands 2015 include: Chi Exerciser, Chi Vitalizer, Chi Energizer, Chi Swing, Swing Master, Footshaker, Zen Chi, Evergain, Passive Exerciser, Oxy-Flow, Chi Flow, Zen Chi, Surge of Chi, Aussie Wobbler ... Amazon.com and eBay have an abundance of imitations to choose from with a plethora of false information and plagiarized facts. The Sun Ancon Chi Machine made a fourth TV SHOW global appearance on a show we cannot actually name for legal reasons (watch the TV show clip to find out), but if any imitation machine attempts to use the video footage or make any reference in any form after the show airs, legal action will be taken by the TV show producers. All the chimachines on Amazon.com are imitations. 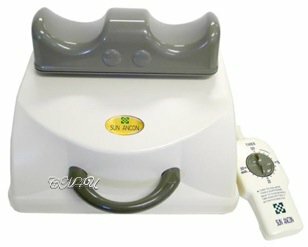 The real Sun Ancon is listed, but every time we check it is 'sold out' - this is a scam to get the buyer to purchase an imitation, because the Sun Ancon Chi Machine is not sold on Amazon.com by HTE. Many people who saw the Sun Ancon Chi Machine on The Doctors went to Amazon and purchased an imitation machine without knowing they had not bought the real deal, the Sun Ancon Chi Machine. Imitation companies then proceeded to scam the public using 'The Doctors' TV show video footage, falsely claiming it as their own imitation product! FYI: The owner of this website was the individual responsible for "The Doctors" TV showcase of the Original Chi Machine - known as the Sun Ancon - and also the TV showcase in 2013 on the Dr. Oz show. Please feel free to notify us if you discover an imitation company claiming their imitation "chi machine" was showcased on either of these shows, because the producers will take legal action. Several imitation 'chi machine' websites no longer exist, but there are still quite a few that persist. HTE the exclusive distributor of the Original Sun Ancon, are aggressively pursuing these deliberately misleading merchants for copyright, fraud and patent infringement. Many of the imitation chi machines have now resorted to having gimmicks attached to the machines including infrared features, heating pads and magnets, besides adding multiple speeds. Quite honestly, a pogo stick, a hula hoop or a trampoline are safer and more beneficial. If you cut costs with your health, you pay a non-refundable higher price in the long run. To compare the REAL Chi Machine, the Sun Ancon, to any existing imitation machine, is the same as trying to compare a go-cart to a Ferrari. Fit For Fun, the leading German health and consumer magazine in Europe, tested the original Sun Ancon against the imitations. Sun Ancon won hands down. Some websites have re-worded and changed deceitful information since first being presented here. To date, all of them still remain medically unproved with no clinical research unlike the Sun Ancon Chi Machine. Everyone is entitled to sell any product they choose, but selling products under false pretenses in order to make a profit - in this case at the expense of your health - is dishonorable, greedy and plain wrong when it comes to something as important as your health. If an imitation machine harms someone, breaks down or does not do what the original does, this is a bad reflection on the original WHICH WORKS and was created to seriously help people. The consumer is advised to always research products in depth and draw conclusions for themselves. The ORIGINAL Chi Machine is known as Sun Ancon, as inscribed on the bottom of the machine, and also proven by the company green square logo found on the timer and on the machine itself. The ORIGINAL Chi Machine is distributed globally and sold exclusively by HTE. The ORIGINAL Chi Machine has NO variable speeds. They say imitation is a form of flattery. Well, would you like to see a remake of the classic "Wizard of Oz" or "Gone With The Wind"? Sometimes there is just no duplicating the original. Strong, durable, solid and quiet. Known to last 15-20 years. PART 1: Imitations vs Original Sun Ancon specifications. Chi Machine Myths, Scams and Falsehoods. This website is for informational and educational purposes and is not intended to provide individual medical advice which should be obtained from a qualified health practitioner. Chi Machine International does not claim that any HTE product presented herein will diagnose, treat, cure or prevent any disease. Always ask questions and research everything.